This study was conducted to evaluate different doses of two species of Bacillus (Bacillus licheniformis and Bacillus subtilis), on growth parameters, chemical composition of fish, activity of liver, and digestive enzymes of Asian sea bass. During 8 weeks, juvenile Asian sea bass received diets supplemented with 1 × 103, 1 × 106, and 1 × 109 CFU g−1 probiotic in addition to a control diet without added microorganisms. At the end of the trial, growth indices (total weight, total length, specific growth rate, total weight gain, food conversion ratio, and condition factor), body composition (crude protein, crude lipid, ash, and dry matter), digestive enzymes (protease, lipase, and amylase), liver enzymes [aspartate aminotransferase (AST), alanine aminotransferase (ALT), alkaline phosphatase (ALP)], immunologic indicators (lysozyme), and hematological parameters [hematocrit (Hct), hemoglobin (Hb), red blood cells (RBCs), white blood cells (WBCs)] were assessed. Asian sea bass receiving diets supplemented with probiotic Bacillus (Bacillus licheniformis and Bacillus subtilis) showed significantly better growth than those fed the basal diet (control). Regarding body composition, total protein levels and dry matter were higher and lipid levels were lower in fish fed the diet containing 1 × 106 CFU g−1 probiotic compared with the control group (P < 0.05). 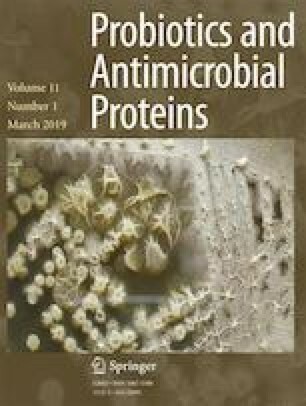 Digestive enzymes (protease, lipase, and amylase) and hematological parameters (RBC, WBC, and Hb) were all highest in fish fed diet supplemented with 1 × 106 CFU g−1 probiotic Bacillus. Also, liver enzymes (AST, ALT, ALP) were lower in fish fed diet supplemented with 1 × 106 CFU g−1 probiotic Bacillus. Being that supplementation of 1 × 106 CFU g−1 of Bacillus in the diet is the dose which delivers the best results.